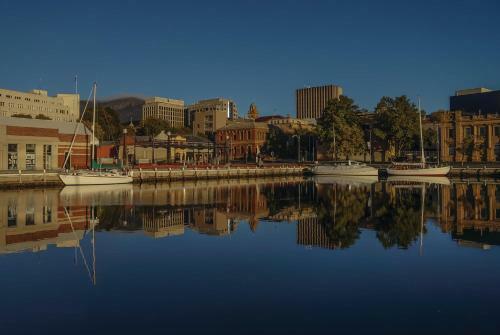 Situated in the heart of the Hobart CBD (Central Business District) Travelodge Hobart offers rooms a 32-inch LCD TV and beautiful views of Derwent River Mount Wellington or Hobart City. 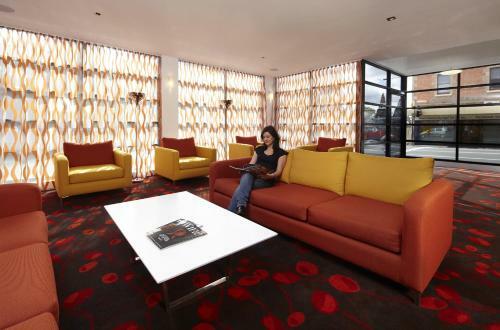 Guests receive 100MB of free WiFi per 24 hours. 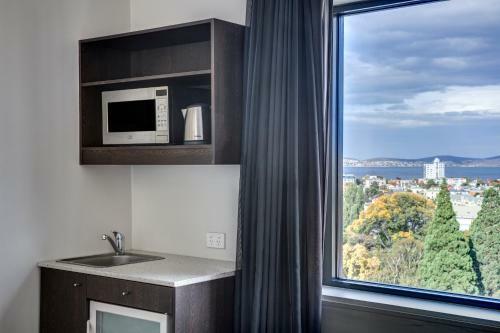 Each heated room comes with satellite TV a refrigerator and a tea/coffee maker. 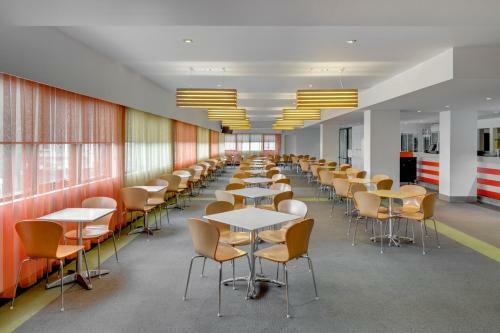 Most rooms have a kitchenette and a spacious seating area. 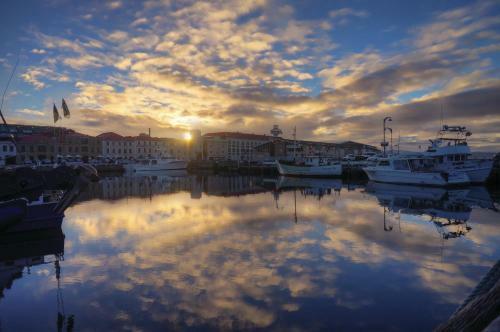 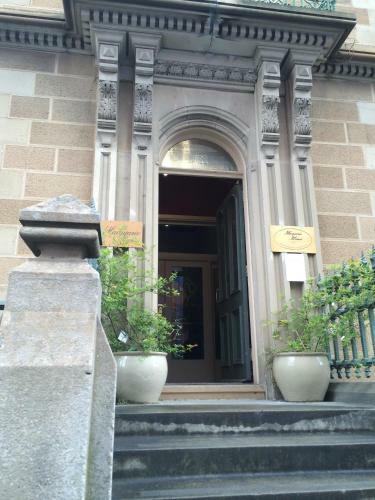 Travelodge Hobart is just an 8-minute walk from Battery Point Sullivans Cove and the Tasmanian Museum and Art Gallery. 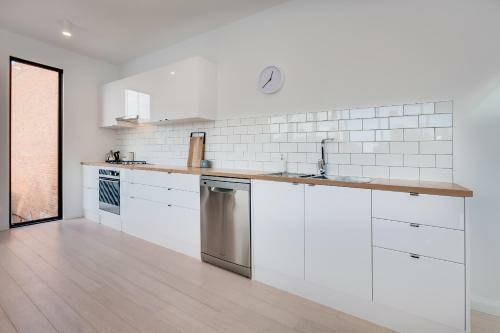 Salamanca Place is just 4 minutes’ walk away. 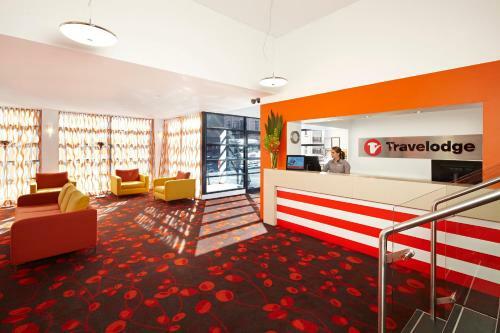 Hobart Travelodge offers the convenience of a 24-hour reception desk. 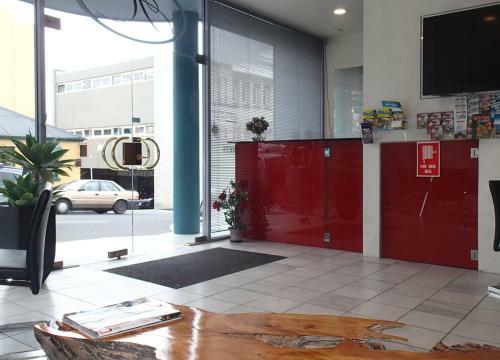 You can start the day in the breakfast lounge with a cup of coffee and the newspaper.